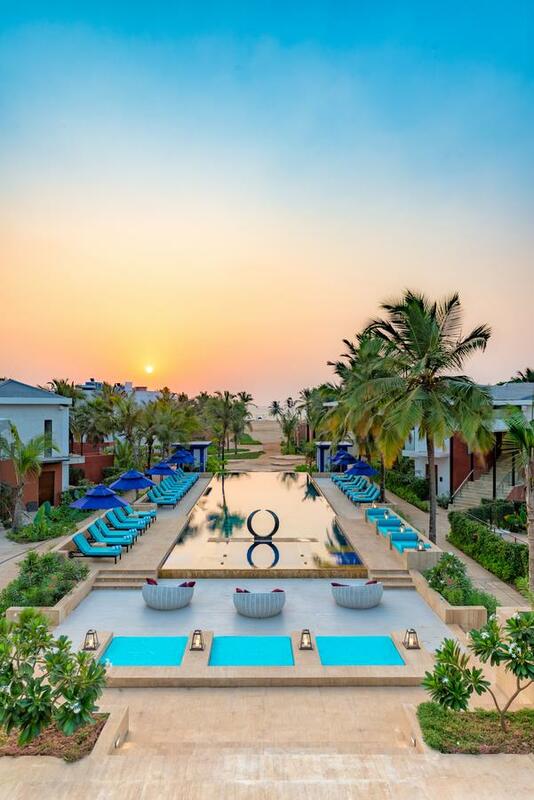 Saraf Hotel Enterprises has announced the launch of its luxurious five-star beach resort in South Goa. Located right on the Benaulim beach, the resort offers unparalleled views of the Goa shoreline. Azaya Beach Resort offers 114 impeccably designed rooms and suites, out of which 38 rooms feature private plunge pools and a sea facing suite. The resort is exclusively designed to provide a luxurious yet a fuss-free and contemporary experience. “Azaya Beach Resort, with its location, aesthetic design and the luxury of personalized experience to the world travellers, will spark timeless memories. Life is all about the memories we make and with Azaya’s innovative approach to hospitality, the concept will offer a youthful, fun-loving vibe, with a relaxed ambiance in a contemporary setting,” said Umesh Saraf of Saraf Hotel Enterprises. The hotel features Lynx Bar & Lounge – an upscale New York style high-octane bar and lounge and La Concha, world cuisine restaurant featuring live kitchens that embrace the idea of eating out of the pan, off the grill and out of the wok. There is also the Blue Iris Beach Restaurant (Seasonal) – A ’quintessentially Goa’ beachfront restaurant with private cabana seating, serving up the best of local produce.